Appliance maker Beko says it will soon introduce the first appliances on the market to incorporate carbon fiber. 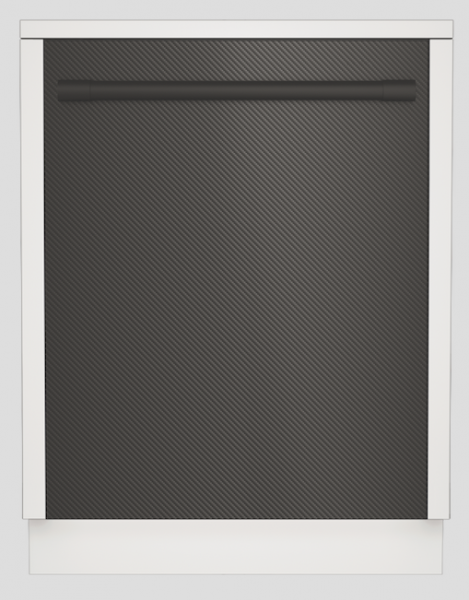 The Carbon Fiber Family line of appliances, the company says, is built with durability and functionality in mind without sacrificing sleek and cool design. 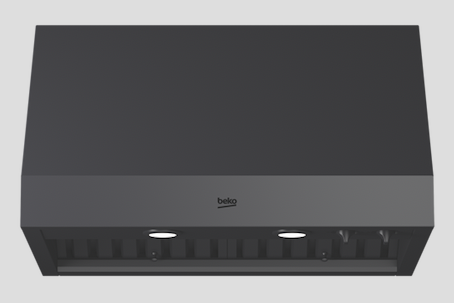 Beko will introduce this new unique line of products at the 2019 Kitchen and Bath Industry Show. 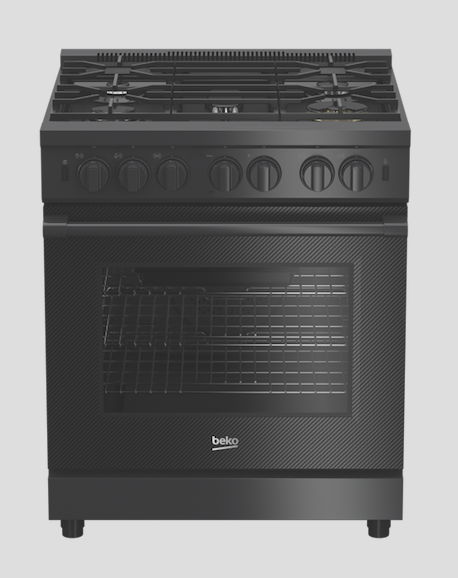 The unit features large, illuminated knobs with distinctive bull nose and handles, programmable self-clean, Surf Convection technology, an XL cooktop surface, and full extension telescopic rack. 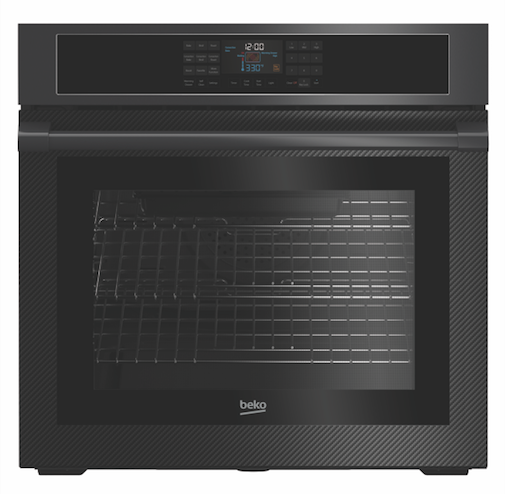 Features include a heated fan system that distributes heat evenly throughout the oven, cool-touch and scratch resistant carbon fiber surface oven doors, and programmable self-cleaning. 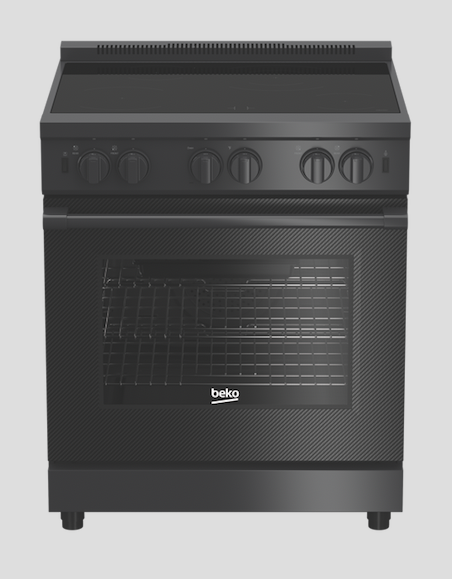 Features include an InnovaChef Smart Display, sturdy, fully extending pullout oven racks, 12 cooking functions, and scratch-resistant carbon fiber surface on door. 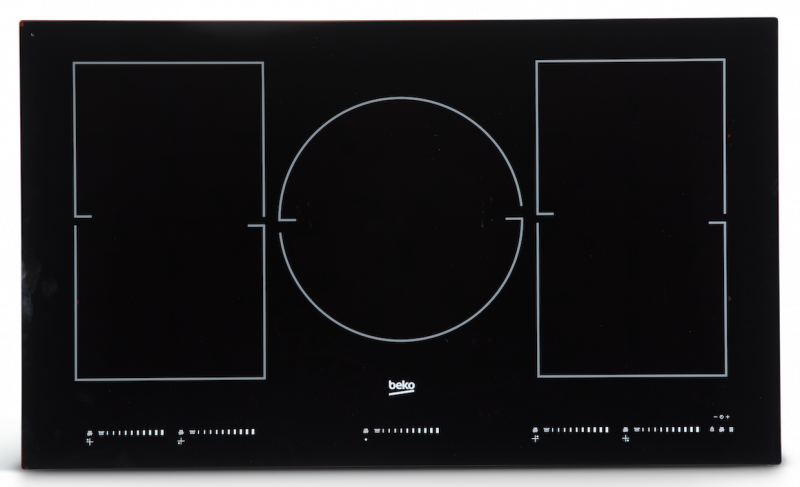 It has five induction zones, a fully automatic cooling system and warming function, nine cooking levels, and automatic pan recognition. Offering a built-in graphite surface, the hood includes a 600 CFM extraction power, four fan speed levels, direct ducting (with charcoal filter for recirculation), and dishwasher-safe grease filters. The unit featres scratch-resistant carbon fiber surface on the doors, built-in smart technology, Active Fresh blue light, IonGuard to eliminate odor transfer, and Turbo ice maker. With AquaIntense technology, the unit performs fives times better at overall dish cleaning, the company says. IonGuard helps further remove and neutralize odors, and Silent Tech suppresses noise. The smart unit includes a full-size third rack, and built-in WiFi Homewhiz app.